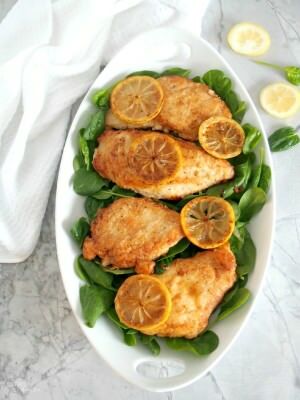 Lemon butter chicken is boneless chicken breast, pan seared in butter with garlic and lemon, then served over wilted spinach. Lemon butter chicken is a balanced, succulent dinner that’s easy enough for weeknights, but special enough for date night. One skillet cooking makes for easy clean up, too! Y’all know that feeling where after taking a bite of something causes an illicit groan of delight, complete with eyes involuntarily rolling skyward, only to realize upon opening your eyes that you’ve attracted the attention of everyone within earshot? Yeah…the first time that I bit into a piece of Lemon Butter Chicken, I about embarrassed myself with my audible reaction. The very first time that I experienced lemon butter chicken was on my first official date with Bacon Slayer. We had been friendly for a few months, but still getting to know one other. (Not that kind of friendly!) We would get together and do sporty things like roller blading, taking long bike rides, or watching the Red Wings play on television. We’d talk on the phone for hours and hours. More than half of the time we saw each other involved competitive activities in which he invariably left me in the dust–all of which left me a hot, sweaty, winded mess with zero makeup on and a damp ponytail. Shexay! Besides…we had both come out of relationships in the past year and had no interest in dating anyone. We were friends in the truest form of the word. That is…until Bacon Slayer announced a few months into our “friendship” that he thought it was about time that he took me on a proper date. Boom. Just like that, we were dating. So much for the resolve to stay single! I guess I should’ve figured out his true motives the first time we went rollerblading and I met his parents. It was about a billion percent humidity and over 90 degrees F outside. As such, I was wearing spandex shorts and a sports bra. I probably had a giant scrunchy in my hair because–hello!–it was the mid-’90’s. Aaaand I met his parents after a six mile sprint-on-wheels on the surface of the sun. I’d come to find out that we parked we’d parked our cars in front of their house because they lived close to the trail. I’m still horrified by the impression I must have made, but my MIL insists she doesn’t remember my fetid choice of workout gear. Bless her. In fact, I’m pretty sure that the first time that Bacon Slayer ever saw me showered and wearing something other than smelly athletic gear was the night he picked me up for that first date. He was accustomed to seeing me in all my stinky, competitive glory. Our first date took us to Giovanni’s Ristorante–a small dining establishment in the heart of what was one of Detroit’s premier Italian neighborhoods back in the day. Giovanni’s began as primarily a pizzaria and take out kind of place, but eventually blossomed into a place known for it’s fine dining. At the time of my first visit, the neighborhood was a bit sketchy, but the restaurant still thrived. I planned to order fettuccine alfredo, because that’s what I always ordered at an Italian restaurant. Bacon Slayer insisted that I try their Lemon Butter Chicken because it was his favorite. I waffled, instead offering to just try a bite of his chicken because it felt all sorts of wrong to go to an Italian restaurant and not gorge myself on pasta. Here’s where the details get a little fuzzy…all I remember was him insisting that I order my own lemon chicken because he was confident that after tasting his dinner, I would regret not ordering my own. He may or may not have mumbled something about having seen how much I eat, but I can’t say for sure. Fran, the owner, was our server that evening. She was tickled that we ordered the exact same meal on our first date. At the time, Bacon Slayer worked at a nearby four star hotel, so he was a regular to the restaurant. He often referred hotel guests to Giovanni’s for dinner. Giovanni’s often sent dinner over to the hotel staff, so they had a good working relationship. Fran introduced me to just about everyone at the restaurant that night, staff and patrons alike. I felt like I was meeting Bacon Slayer’s parents all over again! Only with less sweat and spandex involved. When our lemon butter chicken was served, I was immediately entranced by the intoxicating aroma of lemon and garlic. One bite in, I involuntarily closed my eyes and let out a groan of pure bliss, while I savored the moment. However, my sound of approval must have been rather loud. As I opened my eyes, I realized that Bacon Slayer, and the patrons sitting nearby, were laughing at me. Was I feeling a bit abashed? Definitely. Contrite? Not in the slightest. That was some seriously good Lemon Butter Chicken! We returned to Giovanni’s several times that year, and made a special point of going there on our first anniversary. In fact, we went to Giovanni’s for every major milestone in our relationship: engagement, wedding, pregnancies, new babies…you name it and we celebrated it at Giovanni’s! Shortly before moving north, Giovanni’s had a fire that rendered the building a total loss. Since the once thriving Italian neighborhood that housed the restaurant was a mere shell of it’s former glory, patrons and local media wondered if Fran would either close up shop for good or move the restaurant to the suburbs. She did neither of those things. Instead, Fran rebuilt and expanded Giovanni’s Ristorante on the same ground, in the same neighborhood where she had spent most of her life. She said that the neighborhood would never revitalize without thriving businesses, and Giovanni’s was a cornerstone to the neighborhood. I can’t help but respect her conviction to keep doing what she loved where she’d always done it…in the neighborhood that she grew up in. I hope you enjoy this lemon butter chicken recipe! 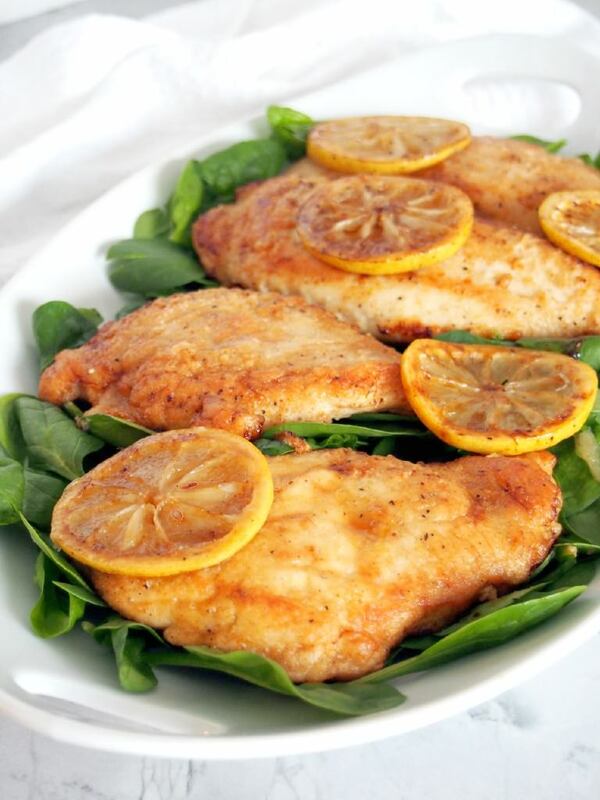 Seasoned boneless chicken breasts are pan seared in a touch of butter with garlic and fresh lemon slices, and then served over a bed of spinach. Lemon Butter Chicken is a balanced, succulent dinner that’s easy enough for weeknights, but special enough for date night. One skillet makes for easy clean up! Slice one lemon into 1/4-inch rounds; about 8 slices total. Juice the other lemon; setting both the lemon slices and juice aside. Whisk the flour, seasoned salt, and lemon pepper seasoning together in a glass pie plate or other shallow dish; set it aside while tending to the chicken. Place one chicken breast between two large sheets of plastic wrap. Pound the thickest parts of the chicken with the flat side of a meat mallet, working from the center outward, until the breast is roughly of an even thickness; about 1/4-inch thick. Repeat with the remaining pieces of chicken. Lightly coat each side of the chickens with the seasoned flour, shaking off the excess coating. The coating should cover all of the exposed meat in a thin layer. 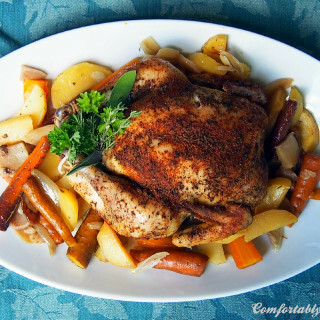 Place the coated chicken onto a clean plate or cutting board. Repeat with the remaining chicken, placing them on the plate when complete. While breading the chicken, set a large skillet over medium-high heat. Drizzle the olive oil into the skillet before adding the butter. The butter should be melted and bubbly (but not browned) by the time the all the chicken is coated with seasoned flour. Sear the chicken for 3 to 4 minutes on each side or until browned. Remove the chicken from the skillet. Sear the lemons for about 1 minute on each side or until browned. Remove the seared lemons from the skillet. Stir the minced garlic in the now empty skillet. Place the browned chicken back into the skillet. Drizzle the fresh lemon juice over the chicken. Top the chicken with the seared lemon slices. Reduce the heat to medium. Continue to cook the chicken until the sauce reduces and chicken is cooked through. Pile a bed of baby spinach onto a large serving platter. Arrange the hot chicken and lemon slices over the spinach. Spoon any pan juices over the chicken to serve, if desired. 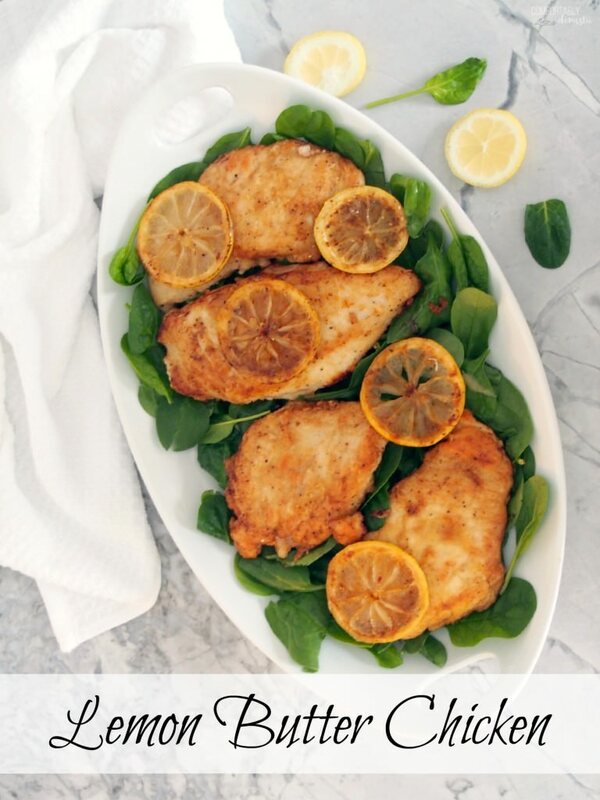 Lemon Butter Chicken is a far lighter alternative to chicken piccata, and every bit as delicious. Be mindful of the total weight of chicken used in the recipe. 2 lbs. is roughly 6 small breasts. If the chicken being used is larger, cut it to serving sized pieces before proceeding with the recipe. If a large skillet is unavailable, use a smaller skillet and work in batches. Note that additional butter or oil may be needed when working in batches. To cut down on the mess of doing dishes, I use a clean cutting board as a holding plate for the coated chicken. I use the serving platter to hold the seared chicken while searing the lemons. I wash the platter upon to returning the chicken to the skillet to finish cooking, and before piling the spinach onto the platter for serving. That way, the only other dishes from preparing the meal to be washed are a pie plate, cutting board, and the skillet. I seriously have GOT to make this lemon butter chicken, STAT! My mouth was hanging open while I was looking at your gorgeous photos! If only I could dive through the screen to get to that chicken, I would. Guess I'll have to do the next best thing, and make it myself! Thanks for the awesome recipe! Boom - like that we were dating. I know that feeling! My husband and I started dating and we were all in right away. I think if I made him this chicken he would go crazy and fall in love with me all over again. That is such a cute story about your first few months with your Bacon Slayer! Lemon butter chicken is amazing as is, but no doubt it's even more special when you've got such fond memories surrounding you first date. This chicken looks amazing! And I love how easy it is! Love hearing how you first met your man! Cute story but oh man even better this butter chicken with lemon! 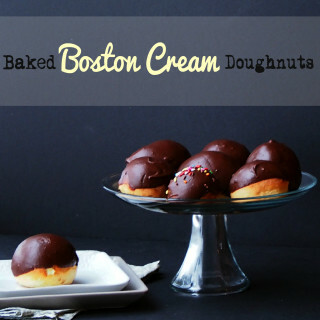 I'm in heaven and I'm pretty sure I too would elicit the weird look of strangers with the groans I would make from that first bite!